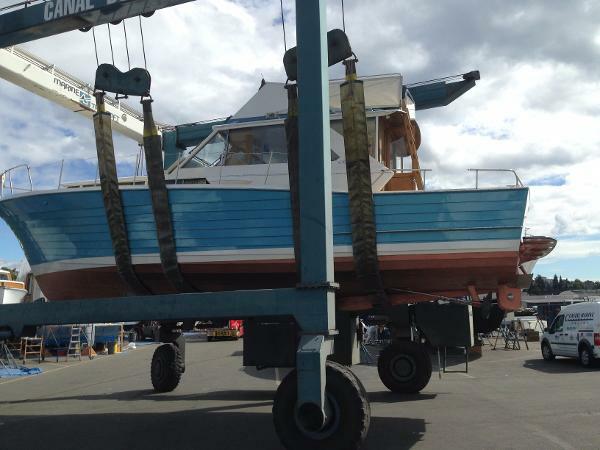 The seller is motivated and ready to see this boat go to a deserving good home. 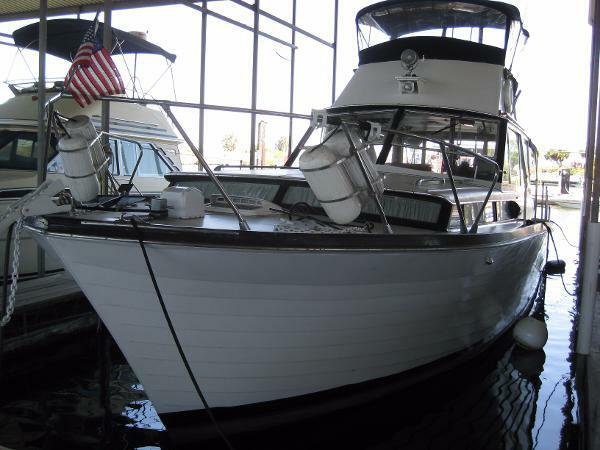 This is a boat for the person who loves the thrill of being on the water but yet maintaining a classic. Are you ready to make heads turn and are you ready to answer where did you get this beauty? Get your offer in quick because finding a 2 owner like this is unlikely to happen again. Stock #106391 Beautiful boat! Rare find! Two Owner!!! 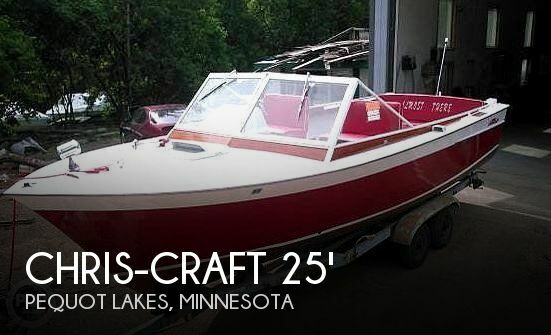 If you are in the market for an antique and classic boat, look no further than this 1958 Chris-Craft Sea Skiff 18, just reduced to $11,499 (offers encouraged). 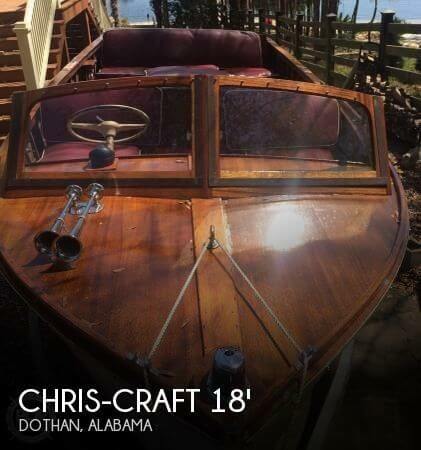 This boat is located in Dothan, Alabama and is in great condition. She is also equipped with a Chris-Craft engine. 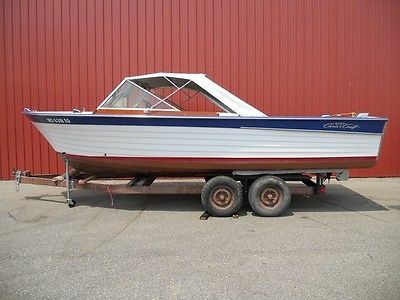 Reason for selling is this boat needs to be in the water more. 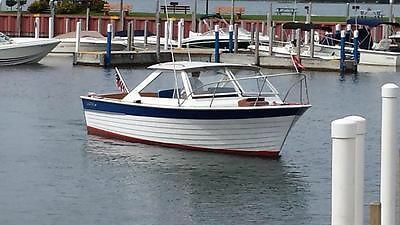 1964 Chris Craft Sea Skiff In 1964 Chris Craft was the trend setter for modern boat building. This beauty has been lovingly improved and maintained by the current owner. The current owner has also kept this gem in a fresh water covered slip. She is equipped with generator, VHF, electric stove, head/shower and is also powered with 2 300HP GM 327's. Recent upgrades include full canvas and enclosure in 2014, hauled out for complete bottom paint and zincs in 2013. For more information, or to schedule a showing, contact Tye Haight at (209) 200-5572, (209) 369-2629, or tye@deltamarinesales.com. Restoration almost complete. Beautiful professionally painted hull sides show like fiberglass. New Nautilux floor boards, newer upholstery, bimini top. Includes a freshly rebuilt 327 ready to be installed. Has had several ribs sistered, bottom is solid but could use a fresh coat of paint. The interior is currently removed and seats could use some varnish. This is a project boat that could be finished in very little time as everything is here and ready for installation. I no longer have space to store and would love for this classic to find a great home. Includes a storage trailer. Please inquire for further info, thank you. 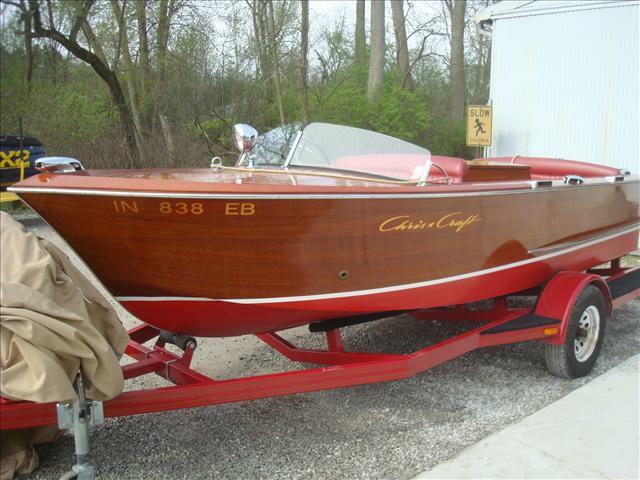 1956 CHRIS CRAFT Sea Skiff. its in rough shape, probably too far gone to restore. HOWEVER,,,,,,it is all there as far as mechanics and hardware. Also, the transom is solid except for about an inch or so at the top. The windshield is also solid except for about an inch at the bottom. There is a roof frame but the fabric is shot. I believe the ladder is newer as there is no finish on it and it is in excellent shape. The fuel tank is in nice condition and still about 1/2 full....NO LEAKS. The engine shows surface rust but has been covered. The plugs loosened up easily, the engine spins freely, carb linkage moves free and the trans shifts smooth. I haven't tried to start it because the coil is broken and i don't have a 6 volt battery to hook up to it. Please look at all the pictures. the boat was last registered in 1993. THE TRAILER: this is the only 3 wheeled trailer I've ever seen and I cant find any information about it on line. with that said, I was reluctant to tow this 50+ miles home when I bought it. But it is, without a doubt, the smoothest and quietest trailer I've had the opportunity to tow. (that's after sitting for 23 years) again, please look at the pictures. it has a welded repair near the right wheel. Please make ALL offers known. I WOULD SUGGEST YOU COME TO SEE EVERYTHING AND MAKE YOUR OWN ASSESSMENT AS FAR AS THE CONDITION. 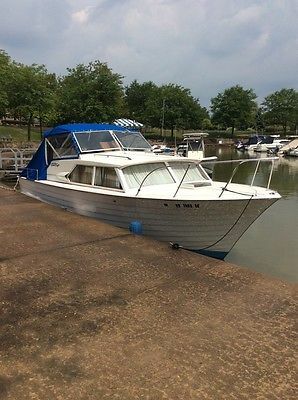 BOAT AND TRAILER ARE BEING SOLD "AS IS" WITH NO GUARANTEES AND NO RETURNS OR REFUNDS BUYER IS RESPONSIBLE FOR TRANSPORTING BOAT AND TRAILER. IF PLANS ARE MADE PRIOR TO SALE, I WILL DELIVER UP TO 50 MILES FOR $1.25 PER LOADED MILE. 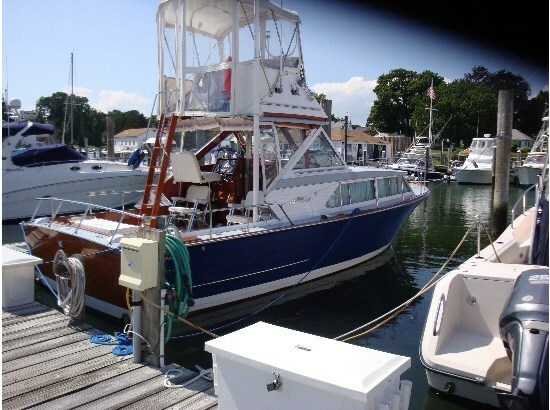 Factory hardtop Sea Skiff with new bottom paint, hard top paint, and engine work done this previous winter '14/'15 at America's first Chris Craft Dealer, E.J. Mertaugh Boat Works. 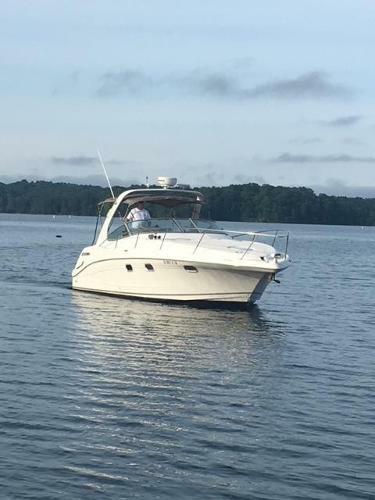 It is a wonderful family boat and gets tons of compliments when it is taken out! Factory installed hardtops are a hard find. The trailer is included with the sale, please feel free to email with any questions. Just rebuilt 283 20 minutes run time. Solid ribs and no rot. Very nice boat needs varnish work on the inside, new varnish on decks and transom. Good trailer. Owner is moving to Florida and is not taking it with him. 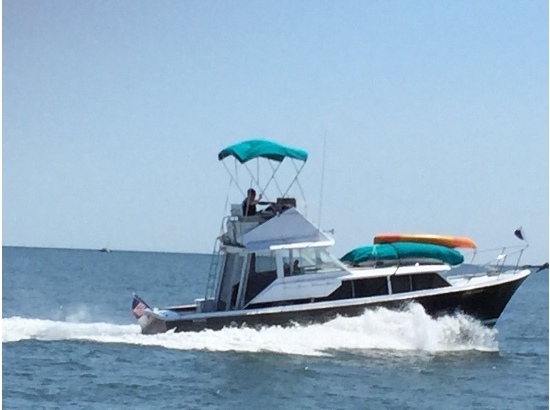 Boat is located on the upper Eastern Shore of the Chesapeake bay. Easy project for the do it yourselfer or we can professionally do it for you. Thanks for looking. Please call for more information. 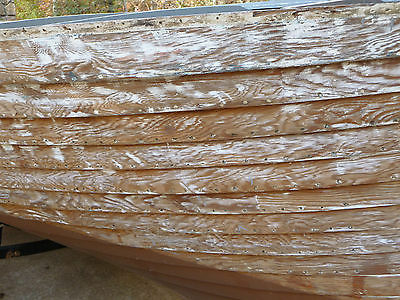 George Hazzard Wooden Boat Restoration 410-928-5500 or cell 610-247-8053. 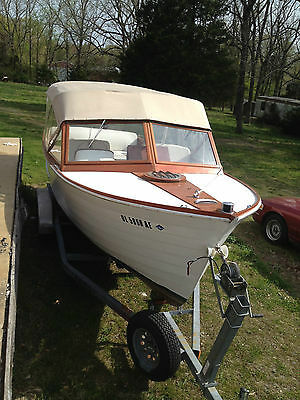 For sale is a 1956 mahogany plywood hull Chris Craft Sea Skiff. All the parts and materials need for completion are included. This includes mahogany lumber, mahogany plywood sheets ( 3), paint, varnish, stain, silicon bronze screws, restored to show quality gauges, wiring, engine and transmission controls and many other misc. items. The engine is a 1962 Chevrolet 283 that has been completely rebuilt with new pistons, rings, valves, hydraulic lifters, bearings, cam and all new gaskets and seals. The stock ignition has been upgraded to the Petronix electronic system. New alternator, rebuilt water pump and fuel pump. The original Rochester quadrajet has been rebuilt. The rebuilt engine has excellent oil pressure and compression. The marine cooling system has been flushed and hasn't been used since rebuilding. No water or gas has been thru the engine. I have turned the engine periodically to make sure it was lubricated while sitting. The engine is out of the boat and was never installed. The interior hull was pressure washed multiple times, sealed with Smith's epoxy, seams caulked and painted with bilge kote paint. Prior to cleaning the hull, all the ribs that were questionable were replaced with steam bent clear white oak ribs. They were secured in place with silicon bronze screws. The outside hull has been stripped of old paint, the lap joints caulked and after installing a few more screws in the ribs the holes filled with Famowood sanded and painted. The hull paint is included. The new mahogany for the cheek rails along with the mahogany plywood decking is included. The brightwork is in good shape and ready to be installed. This includes air vents, rope chocks, bow light, step pads, and other items . The trailer is a 18' MTW in like new condition. The tires are in good shape. 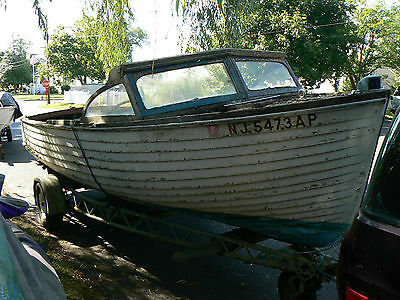 The trailer would need some minor modification to accept the prop and skeg on this type boat. My health prevents me completing this project and only hope someone with a love of old wooden boats could get it back in the water. I have had this boat stored inside my shop and out of the weather. The is quite a few solid mahogany boards that will be included. These could find many uses in the restoration. I will be glad to answer and questions about this boat along with any other photos anyone may wish to see.